Process through QuickBooks Software or our Internet Gateway. Perfect for back-office, catalog and professionals who need individual customer invoices and sales tracking. Great for catalog, home-based businesses, and inbound and outbound telesales, anytime your customer is not present when you process the sale. 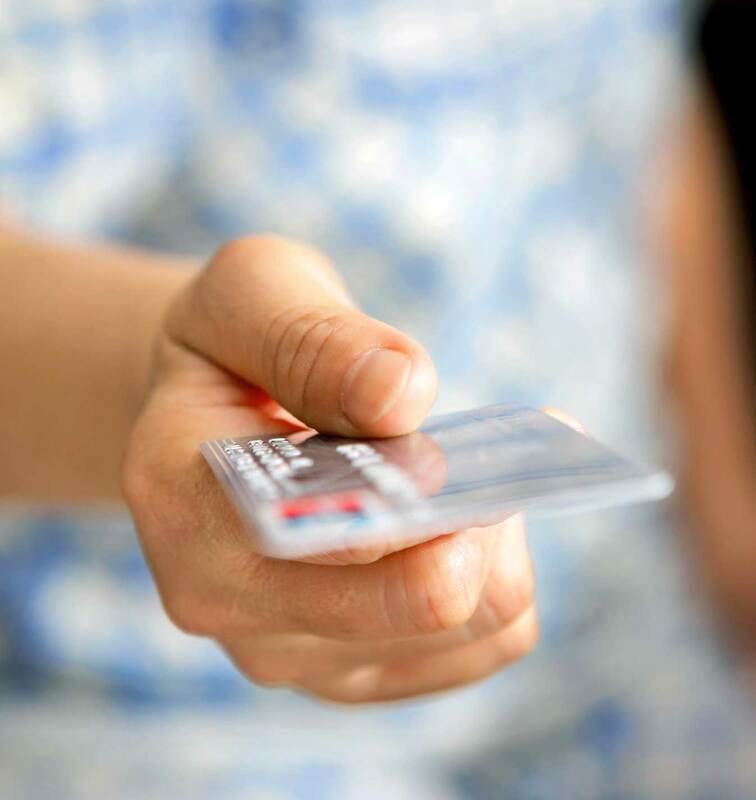 In these "card-not-present" situations, you manually enter your customer's credit card with one of our flexible solutions. Use a Terminal: If your business does a mix of face-to-face and card-not-present sales, use a terminal. You can manually key-in credit information, yet still be able to swipe cards and qualify for the lower, card-swiped rates. Use Your PC: Turn your PC into a "virtual" terminal with card-processing software, such as our Internet Gateway software or QuickBooks Financial Software, both FREE when you get an Innovative merchant account. Our most popular credit card processing option is a flexible choice for merchants who do not physically swipe their customer's credit card when the sale is processed. Our software uses the Internet to securely and reliably submit, authorize, capture, and settle credit card and electronic check transactions. Card-Processing Software: Turn your PC into a terminal with our Virtual Terminal software. It works much like a physical terminal, except that you manually key-in card information into your PC. And, since the transaction processing is done via the Internet, you can make sales anywhere there's an internet connection. QuickBooks® Software: QuickBooks has one of the industry's most powerful Merchant Services built right into it: QuickBooks Merchant Services. Transactions are processed right in the software, so all data is automatically recorded in your QuickBooks, saving you up to 2 hours per week in manual data entry. Plus, your records are always up-to-date, making reconciliation much easier. Our in-house Mail Order - Telephone Order (MOTO) experts are standing ready to help you make an informed decision to move your company's payment processing forward.